Does your camp collect clutter? Church Mutual insures nearly 1,800 religious-affiliated camps and conference centers throughout the United States. Church Mutual has been insuring camps for more than 40 years. We understand the unique demands you face every day, and we understand your insurance needs. Church Mutual is a business affiliate of the American Camp Association and the official provider of the Property and Liability Insurance Program for the Christian Camp and Conference Association. Eight reasons why Church Mutual might be a good choice for you. Personal service. You'll receive personal service from specialized insurance professionals who are supported by knowledgeable customer service experts. Find your agent. Comprehensive and specialized coverage. We offer property, general liability, sexual molestation/misconduct liability, professional liability, employment practices liability, employee benefits liability, workers' compensation, auto and umbrella liability insurance. The property and liability coverages are designed specifically for the exposures of camps and conference centers. More coverage detail. Loss control services. Our representatives will work with you to help reduce your chances of property damage, general and professional liability claims and employee injuries. Self-Inspection Safety Checklist for Camps and Conference Centers. Swimmer Safety Program – complete with free color-coded wristbands. 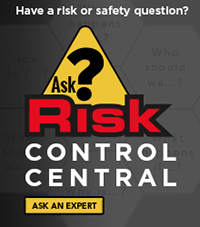 Risk Reporter – a quarterly safety newsletter for Camps and Conference Centers. A variety of forms and consent document examples, including a parent/guardian consent form, that you can download and print. To view, download or order your camp safety materials, go to www.churchmutual.com/campsafety. Fast and fair claims settlement. Church Mutual never forgets the significance of your trust in us. We are here to do only one thing, and do it well: to serve you. That's why this statement guides our employees and independent adjusters with each and every claim they settle: you will look for facts favoring the insured as hard as you look for facts favoring the company. A questionable case should generally be slanted in favor of the policyholder, with the policyholder being given the benefit of the doubt. Online claims reporting. Although most customers prefer to report claims to one of our claims service representatives by phone, we do offer an online option. It's easy and convenient, and you can report claims any time of day or night. More about online claims reporting. Low-cost payment plans. Low-cost payment plans are available in most states. Financial strength. Church Mutual backs its coverage with an enviable record of financial stability. A.M. Best Company has awarded Church Mutual a rating of A (Excellent). More financial information. No-cost, no-obligation insurance needs analysis and proposal of coverage. A Church Mutual representative will personally visit your facility to measure buildings, learn about your ministry's activities and identify risks. He or she will establish values for your buildings based on current construction costs to help ensure that you're adequately covered. To request this service or for more information, follow this link or call (800) 554-2642 and select telephone menu "Option 1." Or, click here to view our agent directory. Coverage references on this website are for illustrative purposes only and do not represent a policy contract. Refer to your Church Mutual insurance policies for complete descriptions of coverages, limitations and exclusions. Some coverages may not be available in all states.